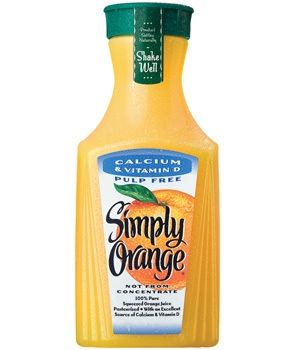 If you’re heading by a Target today, you may want to stop in to score this great deal on Simply Orange Juice. A number of readers are reporting that theirs are marked with special KLP Passover certification. And with the coupon and rebate in this post, you can score a bottle for as low as $1.75 — which is an awesome price! If you’re unfamiliar with the money-saving app Checkout 51, check out my review HERE. And be sure to check the rest of this week’s Target deals before you head out to the store.